Celebrating the country’s forward-thinking knowledge and innovation in urban development, the 2016 UDIA Awards for Excellence recognises the achievements of note-worthy projects in areas such as Residential, Senior Living and Affordability. The latter category has recognised Arkee Creative for their collaboration with Lifestyle Communities, with a retirement living project in Melbourne’s south-east winning the award for Affordable Development. 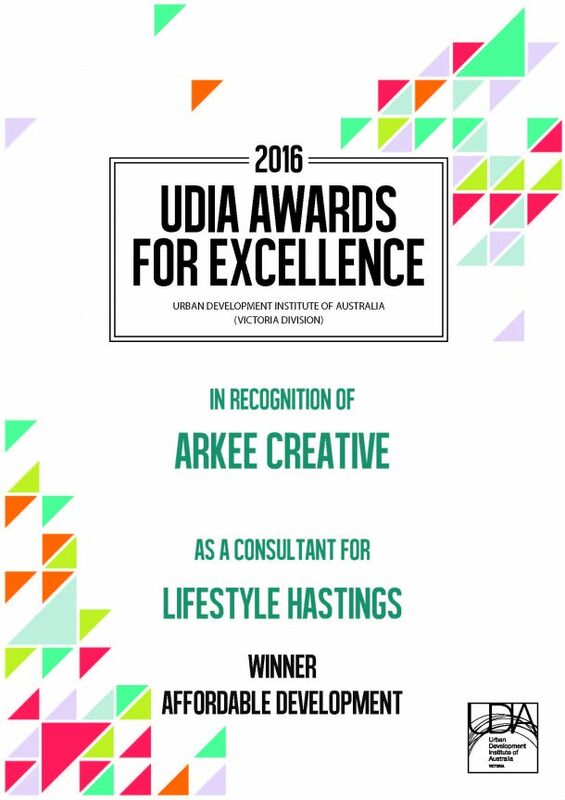 Congratulations to Lifestyle Communities & Arkee Creative!